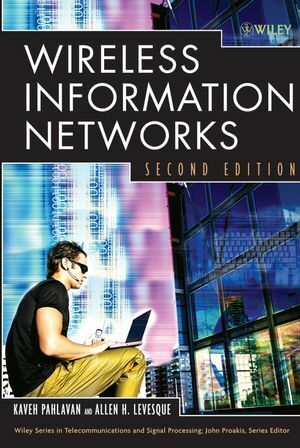 The Second Edition of this internationally respected textbook brings readers fully up to date with the myriad of developments in wireless communications. When first published in 1995, wireless communications was synonymous with cellular telephones. Now wireless information networks are the most important technology in all branches of telecommunications. Readers can learn about the latest applications in such areas as ad hoc sensor networks, home networking, and wireless positioning. Exercises that focus on real-world problems are provided at the end of each chapter. The mix of assignments, which includes computer projects and questionnaires in addition to traditional problem sets, helps readers focus on key issues and develop the skills they need to solve actual engineering problems. Extensive references are provided for those readers who would like to explore particular topics in greater depth. With its emphasis on knowledge-building to solve problems, this is an excellent graduate-level textbook. Like the previous edition, this latest edition will also be a standard reference for the telecommunications industry. KAVEH PAHLAVAN, PhD, is a Professor of Electrical and Computer Engineering, a Professor of Computer Science, and the Director of the Center for Wireless Information Network Studies, Worcester Polytechnic Institute. He is also a Visiting Professor at the Center for Wireless Communications, University of Oulu, Finland. Dr. Pahlavan is also the principal author of Principles of Wireless Networks: A Unified Approach, Editor in Chief of the International Journal of Wireless Information Networks, Fellow of the IEEE, a Nokia Fellow, and a former Fulbright-Nokia Scholar. ALLEN H. LEVESQUE, PhD, is a consulting engineer specializing in digital communications technologies and an Adjunct Professor at Worcester Polytechnic Institute. Dr. Levesque is coauthor of Error-Control Techniques for Digital Communication (Wiley), an Associate Editor of the International Journal of Wireless Information Networks, and a Fellow of the IEEE.